← All Hail the L33T5! 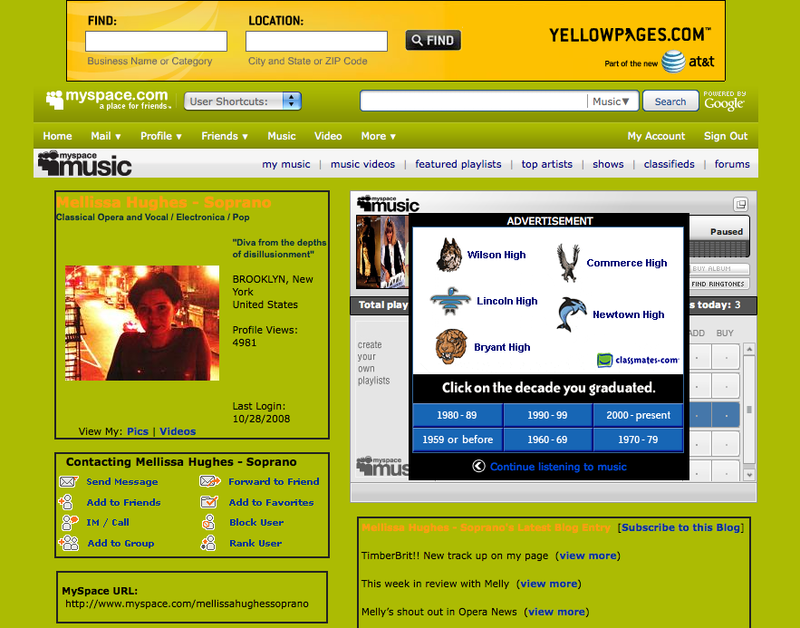 I think this pop-up banner, over the music player, of classmates.com (what is this, 2001?? ), really highlights what Myspace is secretly trying to say to people: “We’re the new Friendster. We’re at the point where we’ve begun losing money and we will make your experience progressively more sucky until we consist only of teens from Indonesia. Thanks for playing. Enjoy Facebook for the year or so until it too joins the social networking purgatory.